Thank you for the opportunity to present testimony on SB 549, a bill that would require the labeling of food and food products derived from genetically engineered (GE) organisms. My name is Michael Hansen and I am a biologist at Consumers Union (CU), the policy and advocacy arm of Consumer Reports, whose headquarters is located in Yonkers. I have worked on the issue of genetically engineered foods for more than 25 years and have been involved in the decisions/debate about these foods at the state, national and international levels. We strongly support SB 549. The primary reason GE food should be labeled is that genetically engineered food is fundamentally different. Industry and their allies argue that GE is just an extension of traditional breeding, which humans have been doing for thousands of years. However, GE represents an advance of monumental proportions beyond traditional breeding—the ability to move genetic material from any organism to any other organism as well as the ability to create genetic material that has never existed before. Traditional breeding involves transfers of genetic material between closely related organisms. In contrast, GE has been used to move artic flounder genes into tomatoes, human genes into rice, and spider silk genes into goats. Indeed, many of the GE plants that have been commercialized have genetic material for viruses and bacteria inserted into them, including genes for antibiotic resistance; such traits could not be transferred via traditional breeding. GE techniques, which were first discovered only a few decades ago, have been used in agriculture primarily to create commodity crops, including soy, field corn, canola, sugar beets and cotton, that can withstand herbicides, produce their own insecticides, or do both. Many processes used in food production are required by law to be labeled, including food that is frozen, made from concentrate, irradiated, or pasteurized. In addition, labeling is also required for ingredients, additives, and for nutritional content (e.g. calories, fat and protein content). All such labeling is of interest to consumers. In our view, FDA should have required labeling of GE foods under the “material fact” provisions of the Food Drug and Cosmetic Act, which state that information of importance to consumer should be on the label. However, FDA has not acted. Therefore, Rhode Island should act, and under the Constitution is free to do so. An important reason to require labeling is that genetic engineering could result in new food allergy responses. A significant number people have life-threatening allergies to particular foods, such as peanuts and shellfish. They manage their condition by systematically avoiding the foods that trigger a reaction. Through genetic engineering, however, genes that could provoke an allergenic response could be unintentionally introduced into another food, without that fact being apparent. Only through labeling could an allergic consumer distinguish an engineered food which might be causing an allergic reaction, from a non-engineered food, and avoid the reaction-causing food. In addition to adding an allergenic substance via GE, the process of GE could also increase the existing allergenicity of a food. The process of GE involves randomly inserting new genetic material into the genome of the new organism. One study found that the process of GE turned on a known corn allergen gene in a GE corn that was not turned on in the non-engineered corn. In one study submitted to FDA, salmon genetically engineered to grow to market size faster had a statistically significant higher allergenic potency compared to the non-engineered salmon, i.e. blood from people allergic to salmon reacted more strongly to the engineered salmon compared to the non-engineered counterpart. Thus, to protect people with food allergies, all GE food should be labeled, so that allergy sufferers can be aware of any new reaction they might have to such a food and have the ability to avoid it. Safety is not the primary reason for labeling genetically engineered food, but given current gaps in safety assessment, safety is not adequately assured and labeling could help identify any safety problems that might possibly arise. There is global agreement that GE differs from conventional breeding, and that safety assessments should be completed for all GE foods prior to marketing. Codex Alimentarius, the food safety standards organization jointly run by the World Health Organization and the Food and Agriculture Organization (both UN bodies), has developed a set of documents on how GE safety should be assessed7 including whether there are increased levels of toxins or allergens in the foods, or if there are any unexpected effects. Premarket safety assessments are now mandatory in most developed countries, including all of Europe, Australia, Japan and China. However, they are not required in the United States. 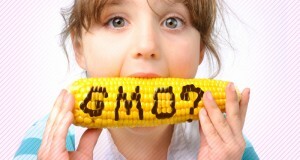 The US Food and Drug Administration’s (FDA) original policy on GE (or GM, for genetically modified) plants, developed in 1992, requires no safety assessments; although companies may go through a “voluntary safety consultation.” To date, there have been some 99 “voluntary safety consultations.” However, after a consultation, the FDA makes no conclusions about the safety of the GE food, but says it is up to the companies to determine safety of any GE food. The inadequacy of FDA’s policy can be seen in the letter FDA sends to the company after completion of a “safety consultation.” For example, the letter sent to Monsanto on September 25, 1996 about one of their first Bt-corn varieties, MON810, states, “Based on the safety and nutritional assessment you have conducted, it is our understanding that Monsanto has concluded that corn grain and forage derived from the new variety are not materially different in composition, safety, or other relevant parameters from corn grain and forage currently on the market, and that they do not raise issues that would require premarket review or approval by FDA” (bold added). The letters for all 99 “safety consultations” contain basically the same language. This clearly shows that the FDA has not made a conclusion about the safety for GE plants or the safety of the technology as a whole. In addition, FDA also does no monitoring of imported food for GE status, and does not require any studies of long term effects. Indeed, FDA has no idea if GE foods are being imported from foreign countries. Furthermore, the US has publically stated that they don’t test a single import for GE status because they think there is no safety issue. In January, a peer-reviewed article, “No scientific consensus on GMO safety,” was published in Environmental Sciences Europe. Some 300 scientists have signed on saying they agree with this article. But even if all reasonable safety testing were required, certain individuals could still have unusual allergic responses that would not be detected beforehand. Finally, there can be unexpected effects–just as there are sometimes to pharmaceutical products, despite extensive premarket testing. For these reasons, it is important to label genetically engineered food, so negative effects can be noticed and identified, and so consumers who simply want to avoid these news foods can do so if they wish. Some consumers make food choices based on the environmental impact of food production systems, and mandatory labeling of GE foods would give consumers more complete and accurate information to use in making such choices. Although the biotech industry claims significant environmental benefits to GE crops, many of these claims appear exaggerated or erroneous. One key environmental issue is the use of glyphosate, a weed killer. Almost all GE food crops have been engineered to withstand the weed killer glyphosate. As a result, the use of herbicides has increased vastly. In the period between 1996 and 2011, during which GE crops were introduced into U.S. agriculture, herbicide use increased by 527 million pounds compared to their non-GE counterparts. Indeed, in 1995 some 20 million pounds of glyphosate were used in US agriculture; by 2012 that figure had increased to an estimated 280 million pounds. Just last month, 17 experts from 11 countries met at the International Agency for Research on Cancer (IARC) and unanimously agreed to re-classify glyphosate as “probably carcinogenic to humans” (e.g. Group 2A). This classification was based on limited evidence from case control epidemiology studies (which found a link with non-Hodgkin lymphoma in studies from US, Canada, and Sweden) and sufficient evidence from animal studies (2 studies in mice, 2 studies in rats). In addition, there was strong evidence for mechanism of action (or how glyphosate may lead to cancer), e.g. genotoxicity and oxidative stress. The vast increase in herbicide use associated with GE crops, virtually all due to glyphosate (trade name RoundUp), has also caused a drastic increase in glyphosate-tolerant weeds. A survey of farmers in 2012 found that almost half of U.S. farmers had glyphosate resistant weeds on their farms, up from 34% in 2011. The biotech industry’s answer to this problem has so far primarily been to develop crops (corn and soy) that are resistant to other herbicides such as 2,4-D and dicamba, herbicides that are considered to be more toxic than glyphosate. Widespread herbicide use on GE crops throughout the Corn Belt also appears primarily responsible for a large decline in monarch butterfly populations, due to wiping out most of the milkweed on which the Monarch butterfly depends for food. Biotech companies often claim that genetic engineering increases yield, and is needed to feed the world’s hungry. However this doesn’t seem to be the case. In fact, the yield increases in GE crops in the U.S. range from very small to nonexistent, with most of the increases in crop yield being due to conventional breeding. GE crops have been adopted by U.S. farmers primarily to simplify weed control rather than increase yield. Meanwhile, in terms of fighting hunger, the world already produces more than enough food to feed all its inhabitants. Hunger, whether in the U.S. and or other parts of the world, is no longer caused by an insufficient quantity of food being grown. Rather it is caused by disparities in wealth (which means some people have more than enough food, while others haunt soup kitchens), wars, and waste and by problems getting crops to market. Engineering crops does nothing to address the root causes of hunger in the world today. Opponents of labeling cite industry-funded studies to suggest that mandatory GE food labeling would cause food prices to soar, boosting a typical family of four’s spending by $400 to $800 or more, on average, per year. Such studies, such as the one released last year by a Cornell University professor, which came up with a figure of $500 per family per year, make a number of unreasonable assumptions to come up with the supposedly large cost of labeling GE foods. I should point out that the Washington Post Fact Checker feature just gave this Cornell study a rating of three Pinocchios (significant factual error and/or obvious contradiction) out of a possible four. A recent analysis of existing studies commissioned by Consumers Union and conducted by the independent economic research firm ECONorthwest found that the median cost that might be passed on to consumers was just $2.30 per person annually, less than a penny a day—or $9.20 for a family of four. Consumers can currently avoid genetically engineered foods by buying food labeled as USDA Organic, which does not allow use of GMOs, or foods labeled Non-GMO Project Verified, which are certified to have no more than 0.9% engineered content. However these labels are not sufficient to meet consumer needs. Organic foods are only about 5 percent of the total market, and because they are grown according to rules that also prohibit pesticides and antibiotics and have other requirements, are often more expensive. The Non-GMO Project label is growing rapidly, but is also a small percent of the market and has very limited availability. Further, voluntary labeling but puts burden of labeling in wrong place. Consumers want to know about all the food they are buying, not just a small percentage. A 2014 nationally representative poll by Consumers Union found that 92% of consumers would like genetically engineered food to be labeled. A New York Times poll last year got an almost identical result, 93% in favor. This is starting to be translated into law in the United States. In 2014 Vermont because the first state to require mandatory labeling. Maine and Connecticut passed laws the previous year that will go into effect when a total of five northeast states have similar requirements. Alaska has a law on the books to require labeling of GE fish. Finally, 64 countries, which together include more than half the world’s population, (including all European Union, China, India, Japan, Korea, Australia, Russia, Brazil and South Africa), require labeling of GE foods. Bottom line, CU strongly supports mandatory labeling of GE foods and so supports SB 549.